Through social gatherings, serving, Bible studies, retreats, and special events, women build relationships with other women, grow in their relationship with Jesus, and use their gifts in the church and through the community. A profound and inspirational event for every woman. In this intimate event, women in the church tell their stories of faith. Every chapter takes us deeper into our relationships with each other and with God. This event happens annually in November. 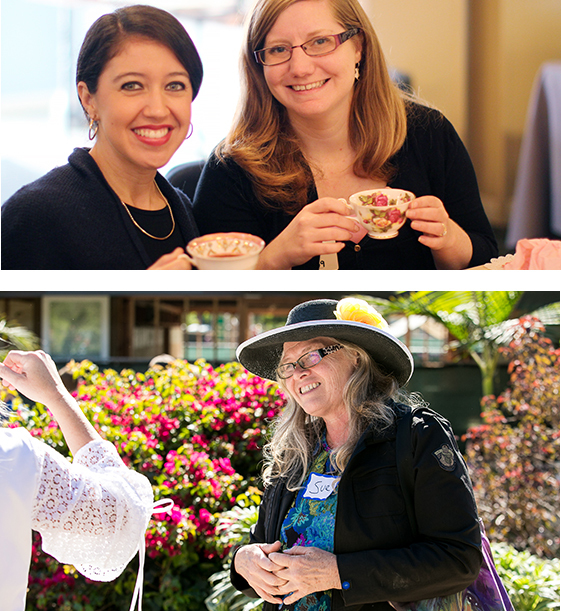 LJCC women come together for casual, social events, from a women’s tea, to a traditional potluck, friendships are built and renewed during these special gatherings just for women. Women also meet once a month for in the evening for a gathering with a new theme each month. Women of all ages are welcomed to get connected and help plan events to meet the needs of women at LJCC. We are forming teams to develop new ideas and keeps the ministry moving forward. For more information about Women’s Ministry, email us at Ministries@LJCC.org.